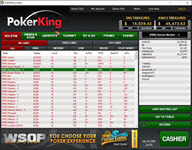 PokerKing rakeback is up to 40% and it's based on the VIP System offered. 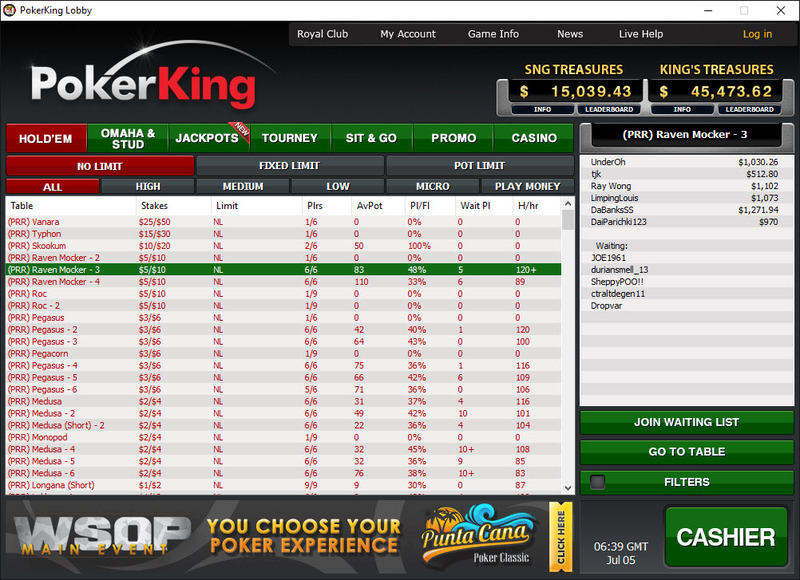 For a more detailed view please click here or on the PokerKing VIP System button above. To reach a specific VIP level, players must earn the required Status Points (SP). For every $1 rake paid you will earn 6 Status Points. 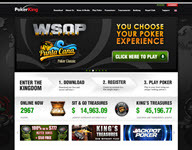 You will have to manually purchase the cash bonuses from PokerKing VIP store. 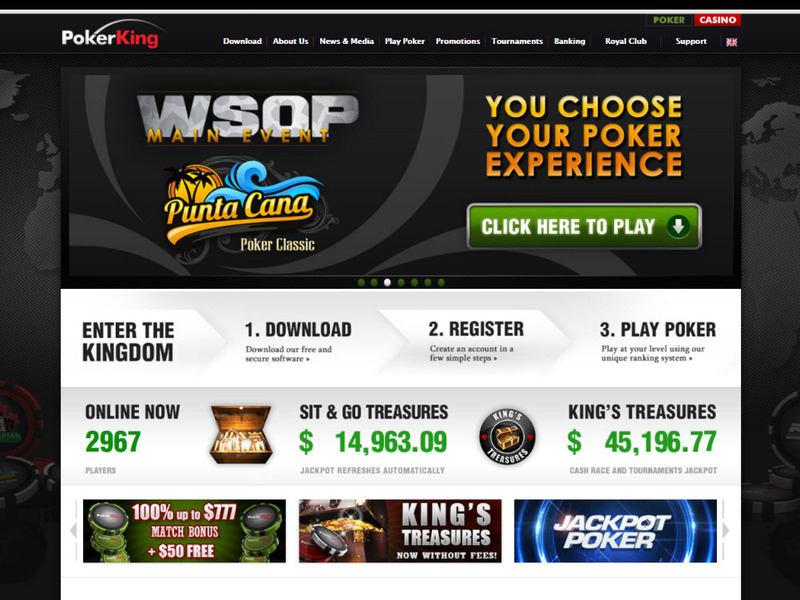 PokerKing offers a 100% up to $777 First Deposit Bonus. The bonus clears at a rate of $2 for every 135 Status Points and since $1 rake paid earns you 6SP, it means the bonus is equivalent to 8.88% rakeback. Once the bonus is initiated, every customer has 90 days to fulfill the requirements. The majority of WPN's players are Americans and for this reason the traffic peaks during weekends and EST evenings. The games are very good and having a couple of reacreational players on each table is a usual thing to see. NLHE action offers around 20 mid-stakes tables NL100-NL600 but goes up to NL5k for 6max. 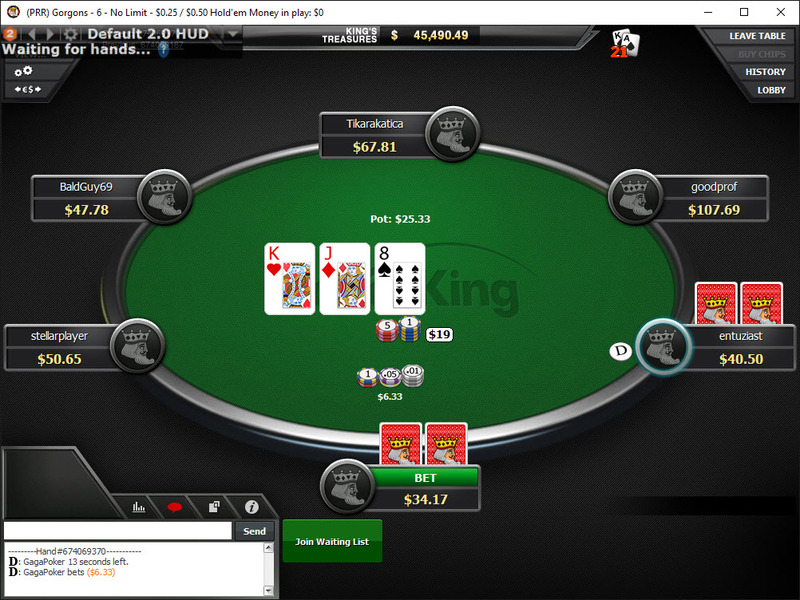 The maximum stake for HeadsUp is NL200. PLO action is poor at micro stakes, but you will find up to 10 tables at PLO100-PLO400, 6-7 tables PLO400-PLO1k. The HeadsUp traffic is also good with 7-8 tables at PLO100-PLO200. You will find a decent number of excellent MTTs as well. 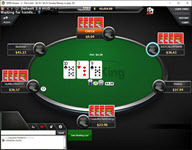 PokerKing charges between 2.5% - 5% at games up to $4.00/$8.00 included, and between 1.25% - 2.5% at games from $5.00/$10.00 and above, but the caps (maximum amount of rake charged by the room) are pretty low at all stakes, therefore, in some circumstances the rake percentage is actually lower than the ones stated in the table form from above. This means PokerKing is a good option for high volume players because the rake charged by the room has a small impact upon the winning rate. Besides that, the rakeback of 40% Gross and the Welcome Bonus and the other promotions, increase players winrate on long term. PokerKing support team is excellent. They reply to every Email within 2 hours with a satisfactory response regarding any issue. Live Chat is available and you can contact them by phone also. All the standard payment methods are available: Skrill, Neteller, Credit Card, MasterCard SecureCode. Deposits are instant and withdrawals usually take no more then 2-3 days. Please note: There were certain changes in the policy of the room in June, 2015. From now on, only one withdrawal within a calendar month and not exceeding $2,500 will be free of charges. Every withdrawal over this amount and every other withdrawal within the same month will be charged 5%. Pokerking is the most reliable skin in Winning Poker Network (WPN), which is one of the oldest names in online poker industry. WPN is one of the few networks which are accepting US players. Thanks to the attractive welcome bonus and available promotions, the network has been registering a notable growth since 2015. The payments are reliable and many reacreational players are present. 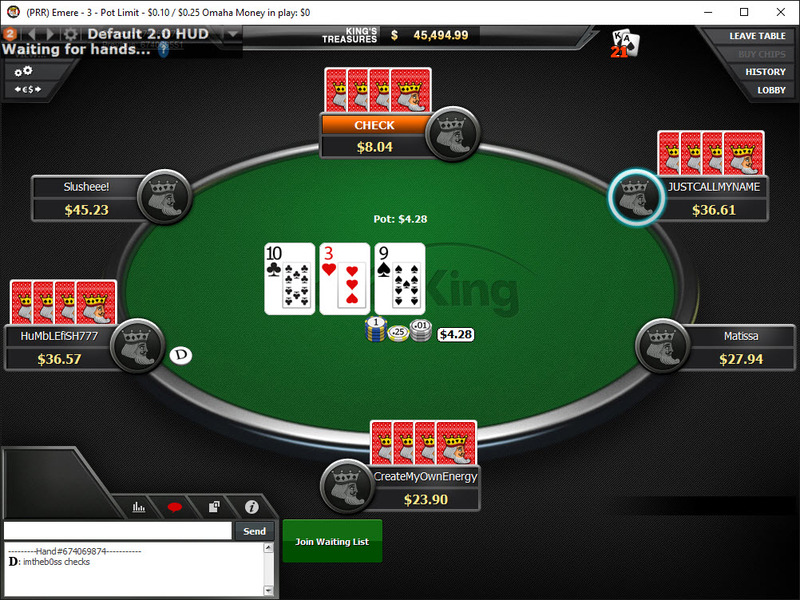 PokerKing offers direct support for HoldemManager / PokerTracker, with no help needed from additional hand converters.